Feature image: Figtree House by Arent & Pyke. Photography Felix Forest. Styling Megan Morton. Art Marisa Purcell. For me, art has always had a special place in the home. Art is a beautiful expression of the owners’ style, interests, passion and personality. 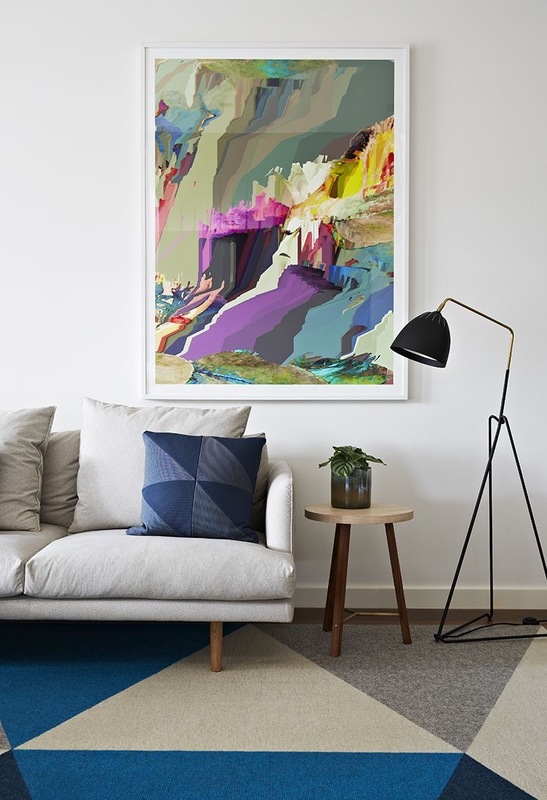 Whether your ‘art’ is an original, print or homemade masterpiece, a piece of artwork lifts a space out of the mundane and makes it truly unique. My number one tip when choosing and hanging art is to consider scale. 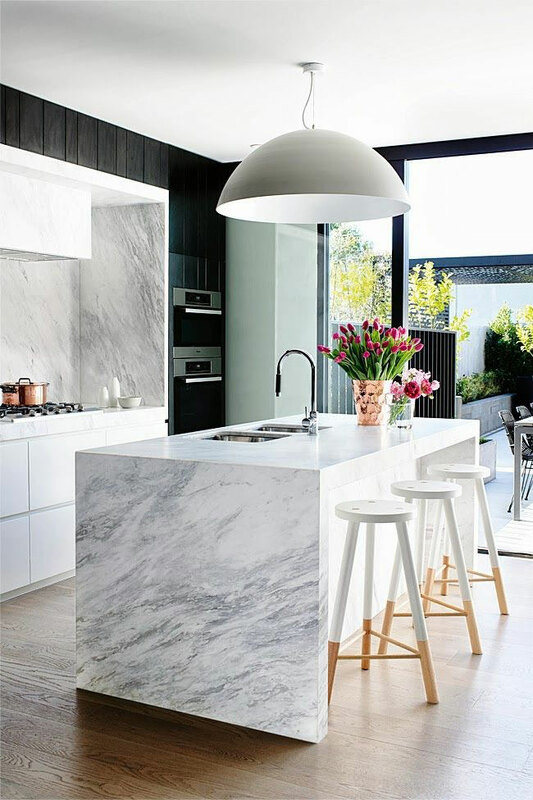 If you are going for a single piece, go as large as your budget and the space will allow, taking into account the size of your room and the scale of furniture. One hero piece in a dining room, living rom or bedroom can be spectacular, if it is the right size. But often people hang pieces that are too small. As a general rule, artwork should be at least two-thirds the size of a sofa or sideboard, and be positioned close to it. These spaces have scaled the artwork perfectly. 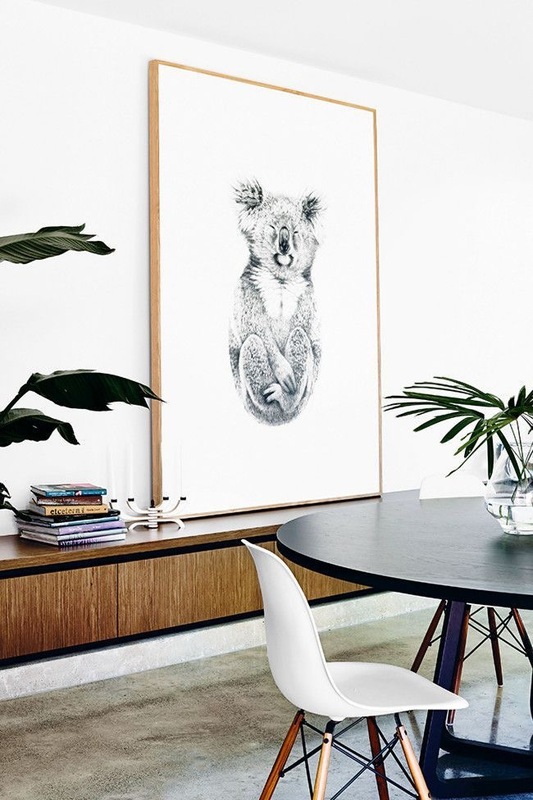 Ellie Malin print the ideal scale in the dining room of Simone and Rhys Haag‘s Melbourne home. Photography Sean Fennessy. 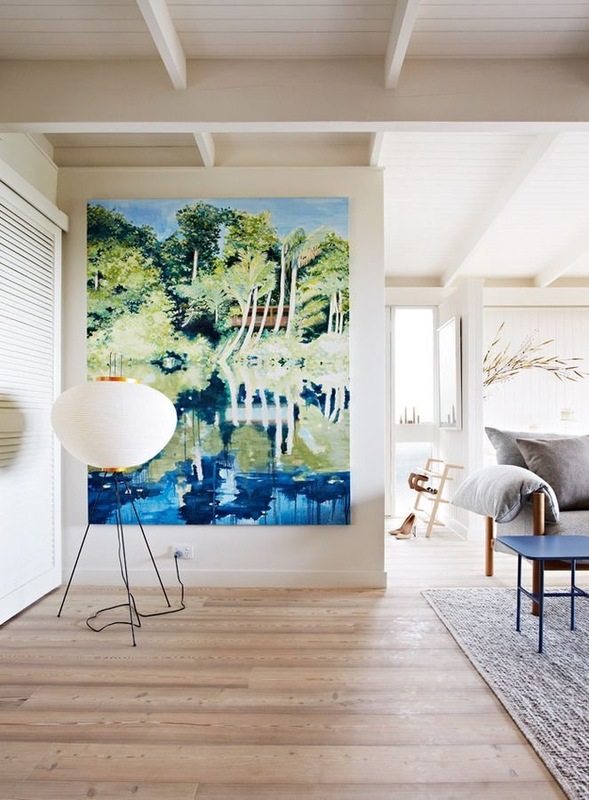 Beautiful large scale art by Christine White, also in the home of Simone and Rhys Haag. And if you don’t have or want a large scale artwork, position a smaller piece off centre and within a grouping of other furniture. 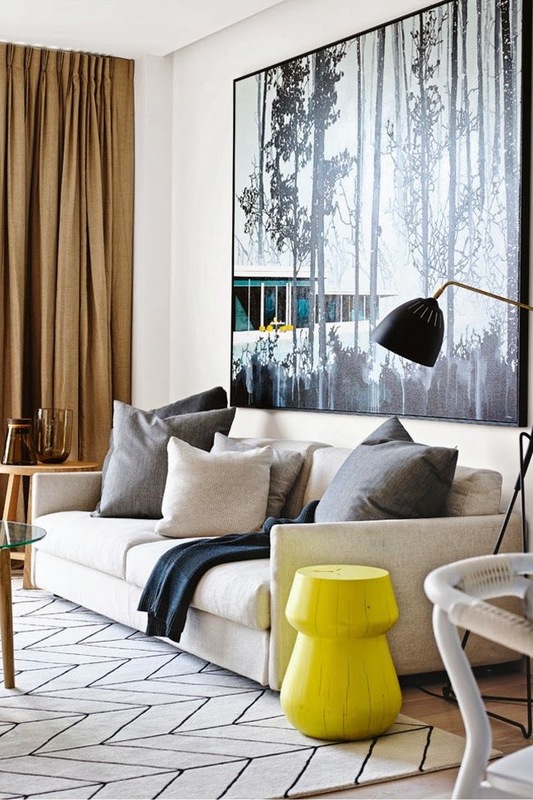 For example, I love how this artwork in a home by Doherty Design Studio sits off centre from the couch, but close and connected with the lamp, side table and flooring. I’m not sure why this happens, but people tend to hang art too high. I think it’s because they think art should be kept “away” from other surfaces and elements in the room, or from people. In fact the opposite is true. 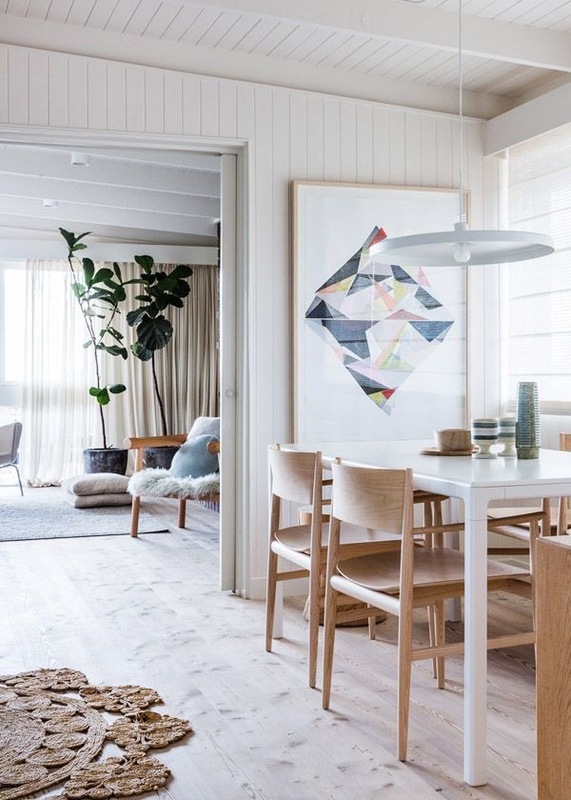 Art should be hung with the centre at eye-level so that it integrates and harmonises with furniture, lighting and other accessories in the room. Figtree House by Arent & Pyke. Photography Felix Forest. Styling Megan Morton. 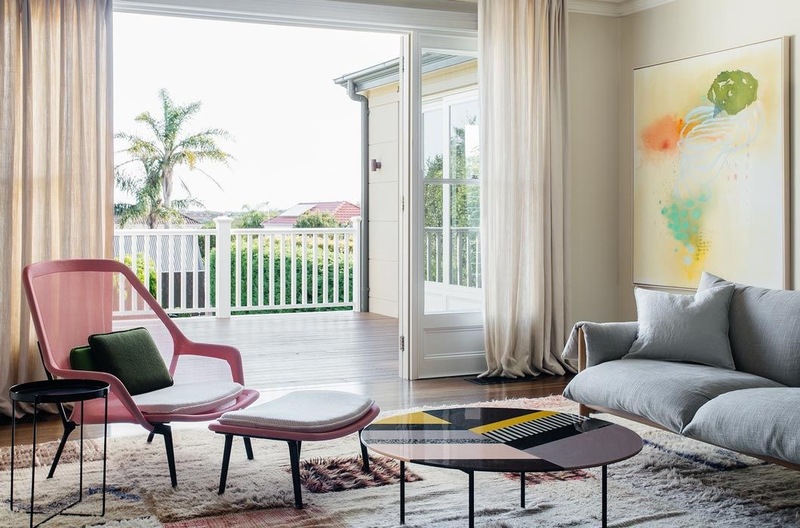 I love how the art in this space is hung low and side on to the sofa – it’s part of the conversation and fully integrated with all the elements and people in the room. This beautiful artwork is by Australian artist Marisa Purcell. 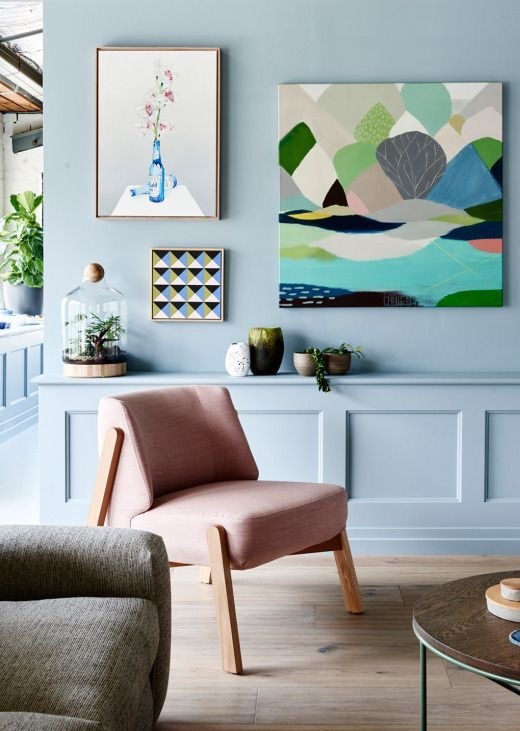 Don’t be afraid of mixing artworks to create interest and impact, particularly where pieces may be too small to hang on their own. Left-right: Julian Meagher, Emma Lipscombe and Belynda Henry art make a beautiful collection on this wall at the Design Files Open House 2014. 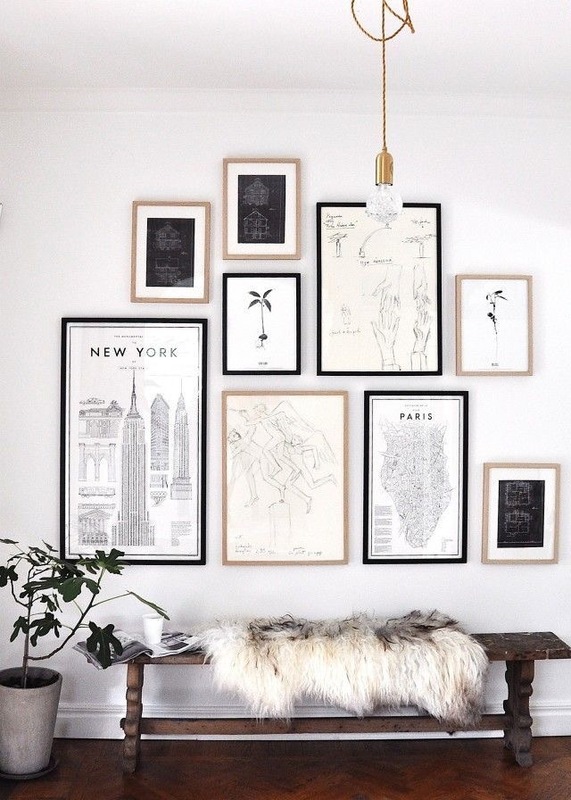 Propping artwork up against a wall is a popular way to display art for a more casual look. 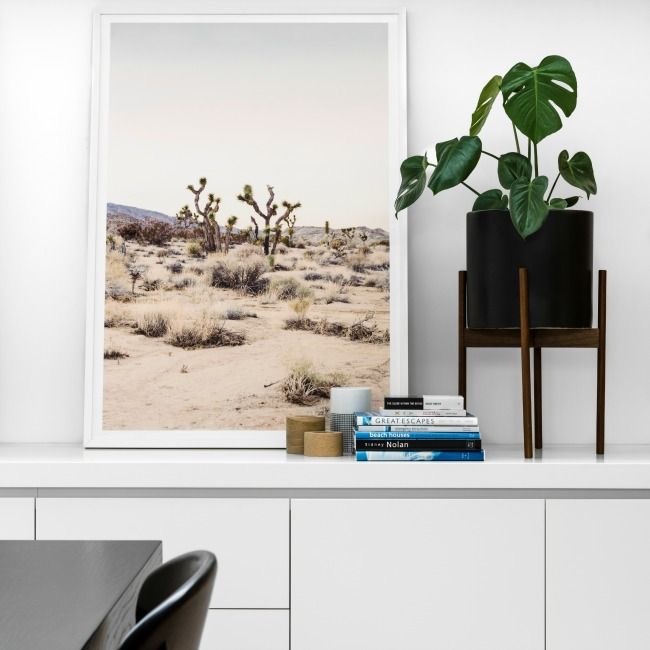 I love the photographic range by The Artwork Stylist for an affordable alternative to original art. Mantles, shelves and sideboards are also a great place to layer art. And don’t be afraid to work in other accessories in front of and around your art. 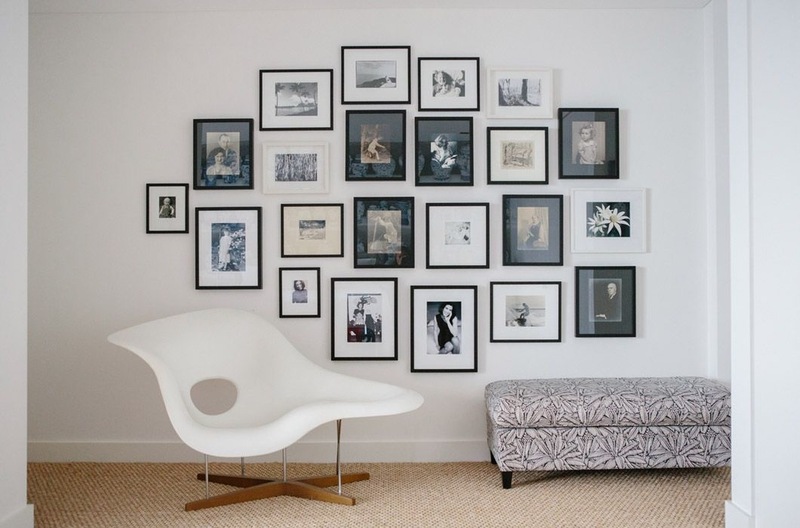 Gallery walls are the perfect way to display smaller artworks of varying size and shape. Cut out paper versions of the pieces you have in mind and test out different configurations on the wall. I like the layouts below where the first row is hung in a straight line, and then the other pieces hung up and around it. And note the height of the first row – nice and low. The middle of the gallery is about eye-level. 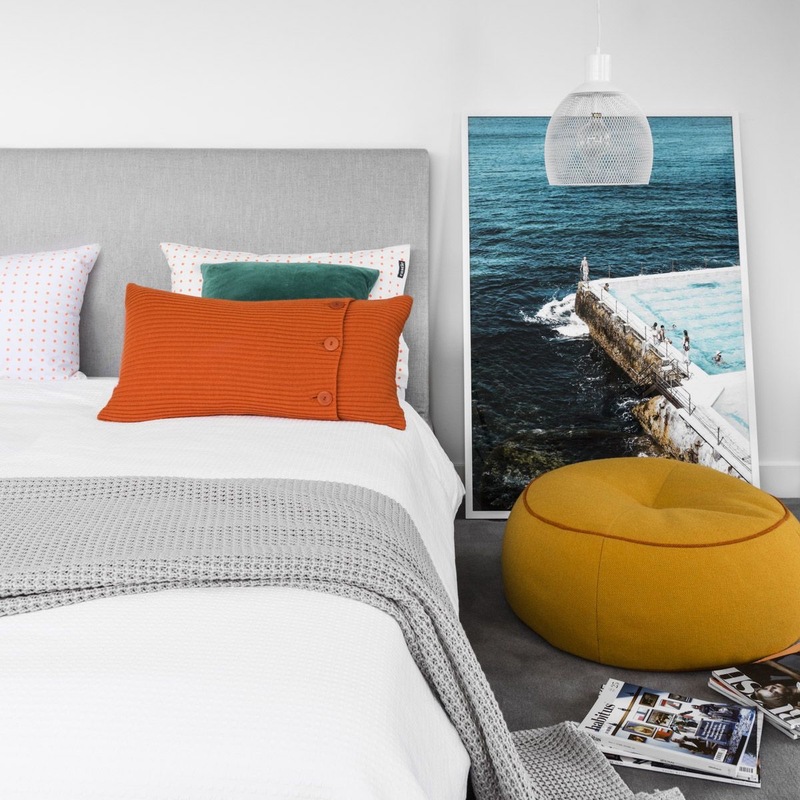 For family photographs and prints, create a dramatic gallery using similar frames. The trick here is to go en masse and create a shape, rather than one or two photos placed randomly. So be brave with your art. 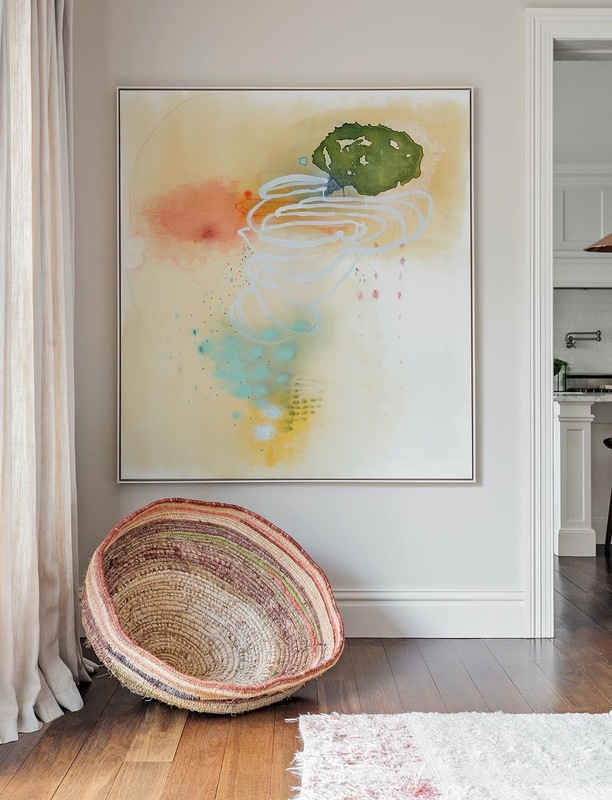 Choose artworks that are large enough in proportion to the room, or create collections of smaller pieces that add personality and life to your space. And hang them at a height so they are living and breathing amongst you and your furnishings. Great post Jane and a beautiful set of examples. I have my eye on some extra-large aboriginal art for our living room. I’m going to follow your “if only one, go large” rule. My trickier art challenge is finding places for about 20 replica impressionist paintings made by my mother in law! Thanks Johanne. Sounds as though you have some lovely pieces to work with. Good luck!